Three of the most senior church leaders in Wales are campaigning for a ban on nuclear weapons to secure a safer future for the world. The Anglican Archbishop of Wales, Dr Barry Morgan, the Roman Catholic Archbishop of Cardiff, Peter Smith and the President of the Free Church Council of Wales, Rev Martin Spain, are joining an alliance of UK churches calling for the Government to commit to a world free of nuclear weapons. Their concerns come in advance of the Nuclear Non-Proliferation Treaty (NPT) Review Conference this May, which they believe will be crucial for international disarmament. The UK Churches’ campaign, entitled Now is the Time, joins the World Council of Churches and others in pressing for governments to put all bomb-grade material under international control and commit to making the use and possession of nuclear weapons illegal through a new Nuclear Weapons Convention. They are asking people to sign an online petition expressing support for these aims. They are supported by Baroness Shirley Williams who is warning that the proliferation of nuclear weapons is one of the greatest threats to the survival of humankind. Baroness Williams, the Prime Minister’s advisor on nuclear proliferation commented just days after the White House indicated plans for ‘dramatic reductions’ in the nuclear arsenal of the United States of America. “We believe that the use or threat of use of weapons of mass destruction is immoral. "We acknowledge the spread and increasing accessibility of nuclear technology and the threat that this poses to our security. We are encouraged by the prospect of significant reductions in US and Russian nuclear arsenals. "We call on nuclear weapons states to refrain from updating their nuclear arsenals and remind them of their "unequivocal undertaking" to meet their obligations to eliminate all nuclear weapons under the Nuclear Non-Proliferation Treaty (NPT). 2We owe it to our children and our grandchildren to seize the opportunity to put in place a new legally binding verifiable and universal agreement to eliminate all nuclear weapons.  The UK church alliance includes the Church of England, the Church of Scotland, the Methodist Church, the Baptist Union of Great Britain, the Religious Society of Friends (Quakers), the United Reformed Church, the International Affairs Department of the Catholic Bishops Conference of England and Wales, the Catholic Bishops Conference of Scotland and the Archbishop of the Church in Wales. 1. To find out more about the campaign, visit www.endnuclearweapons.org.uk. This was posted on 5 March 2010 and updated on 4 July 2013.